Who put the Angst in Book Angst? Summer has arrived. On Denman Island, one of the things that means is that the Denman Island Readers and Writers Festival is just around the corner. I generally take a course or two, this year one from Charlotte Gray and the other from Andrew Struthers, eat the odd fabulous meal, attend a few Main Stage Events (stimulating conversations on life, literature, the world) and, on many occasions, read one of my written works. Last year, after a ten-year run, I took a break. Others were relieved, I’m sure. But this year, I am back and will be reading on Friday, July 14th in the late afternoon along with six other local writers. On Sunday morning…well, what the heck, here is the list for both days although I have not mentioned the names of the young students reading on Sunday. Of course, it could all change, writers being who they are, who we are. BREAKING NEWS: And, as predicted, just in case you read this post yesterday, here is the revised line-up. Although most years I write something special for the occasion, I have begun to make a habit (if once could be called habitual) of reading from my latest book. As I have only had two books published, this year I will read one of my earliest essays immortalized in my latest (second, okay second) book, Confessions of an Inadvertently Gentrified Soul. The essay is called Book Angst- A Tale and is a homage to libraries, courageous volunteer librarians, my Cousin Bob, and Henry Miller. 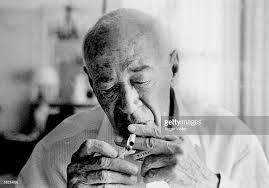 It is a somewhat unseemly essay, one I would hope Henry Miller might appreciate.